For a lot of people, getting to the gym on a regular basis can be next to impossible. Whether it be based upon motivation, scheduling, proximity or otherwise, there’s no getting around the fact that sticking to a proper gym regimen can be difficult. One of the best ways to bypass this issue is to set up fitness equipment within your own home. When shopping for fitness equipment, there are a variety of things to look for before making a purchase. Since machines can be rather expensive, you’ll want to do a fair amount of research before throwing money towards anything. For best results, keep the following in mind when you set out on your search. The main reason why many people feel as if home fitness equipment isn’t for them is because they don’t believe they can afford it. While these fears can sometimes be valid, there are plenty of ways to find machines that don’t cost a fortune. One thing to consider is buying exercise equipment online for a way cheaper price than in-store. The Internet has taken competition in the marketplace to an entirely new level, and there’s never been a better time for the consumer to jump on-board. Plus, there’s more variety to choose from online than you would ever find at a brick and mortar retail store; just another reason to browse the web. When you’re shopping for new fitness equipment, you should always strive to look for machines that feature only what you need out of them. The more amenities a piece of equipment features, the more expensive it is likely to be. This can be very beneficial to those who are extremely serious about their fitness goals, but it can be overkill for those who are simply looking to get fit. Instead, look primarily for machines that feature all the basics without any of the extra fluff. You’ll not only end up saving money, but you’ll probably save yourself from a fair amount of confusion and headaches as well. Used fitness equipment can truly be perfect for those who are on a tight budget, but this isn’t to say that it doesn’t sometimes come with issues. 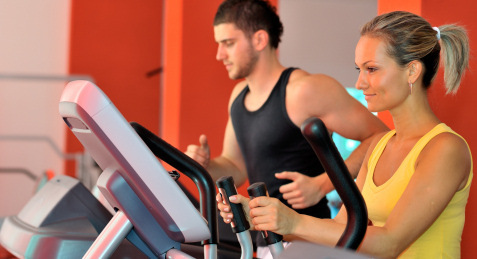 Fitness equipment tends to take a beating – cardiovascular machines are especially affected. If you buy used without knowing what you’re looking for, you may end up with a machine that is ready to break down as soon as you start working out on it. This is not only dangerous, but can result in an utter waste of money. Only attempt to buy used fitness equipment privately if you know exactly what you’re looking for an are well-versed on the finer points of different machines. Fitness equipment can be vital in improving your health, and outfitting your home with a few machines doesn’t have to be as out of reach as it might seem.